I hope everyone has a lovely Christmas and a Happy New Year! I've had a week off from blogging and have enjoying relaxing at home poolside with my family. So here's the last fortnights frugal tasks. -Received a hamper of chips, lollies and biscuits from a lovely friend. Perfect for the school holidays. -Made the kids a Christmas Eve box with chips and treats bought on sale, and some items I already had. -Cooked a yummy Christmas lunch with the ham and other items bought for free using my accumulated Fly Buys points. 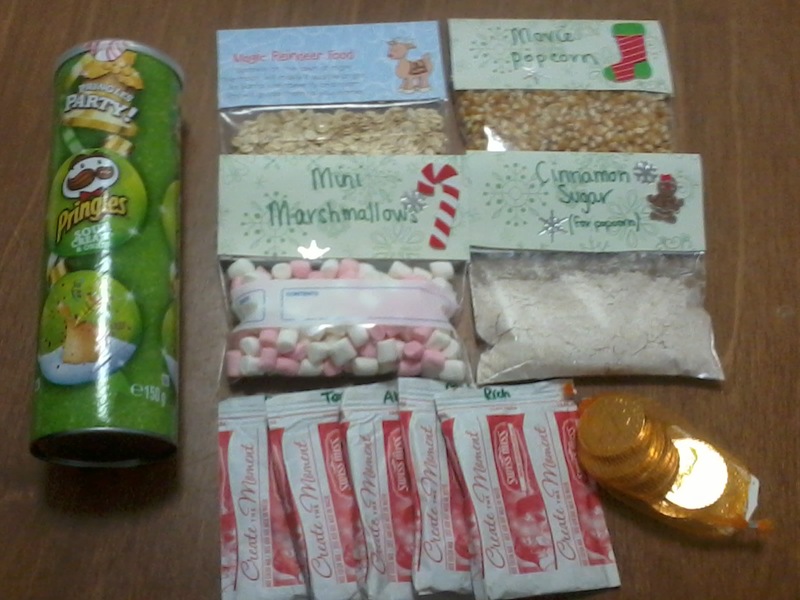 I also used bon bons with our lunch which were bought last year for $1. -Had lots of extra fruit so I made a fruit salad to give to a friend. -Switched telephone/internet providers from iinet to Telstra. I will be paying the same amount of $110 a month but there are a few extras like free mobile calls and Telstra TV. 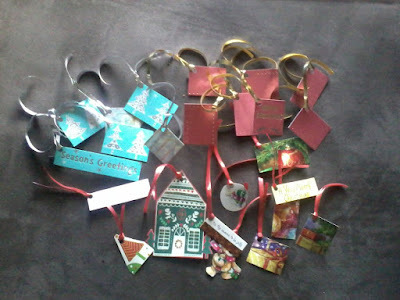 -Saved the Christmas cards I received and cut them into gift tags to use for next Christmas. -Saved some gift bags and pretty ribbon from gifts. I've put them in my Christmas box. -Have stayed home and swam in our pool for entertainment. Because our swimming pool was only resurfaced this year (after 2 years of non use), we forgot how expensive it actually it to maintain a pool! I am making note of what we spend, and plan on putting money aside during the year in our home repair fund to use on the pool for next summer. I have also started putting the $30 we budget for entertainment into the bill fund, which will hopefully counteract some of the power bill which will increase from running the pool pump. Currently the pump is costing $1.60 per day but this will add up to around $150 over the 3 month bill period. -Made a big batch of mango coulis for the freezer with some bulk mangoes. -Turned some soft cherries into a yummy cherry compote to use on breakfast waffles or pancakes. 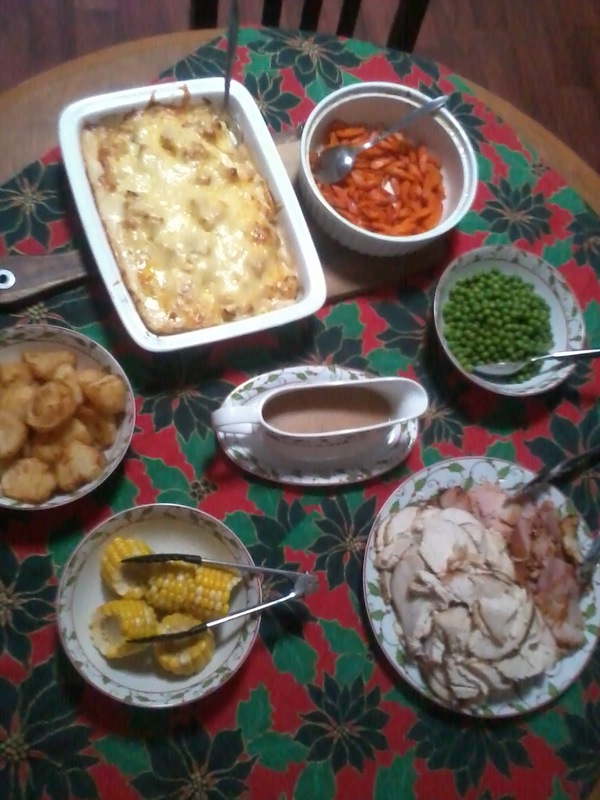 -Ate lots of leftovers from Christmas. 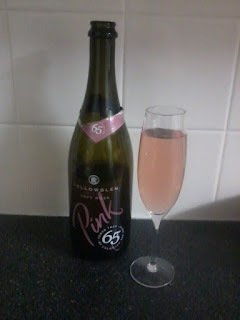 Which saved me from doing any cooking! - Only ran the air conditioner on really hot days. If we are hot, we use a fan or a swim go for a swim in the pool. 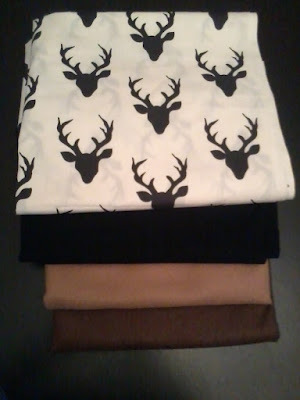 -Bought some half price material to make myself a skirt, and also some felt by the meter which is much cheaper than buying felt squares. I plan on making some homemade gifts during the school holidays, ready for the year ahead. 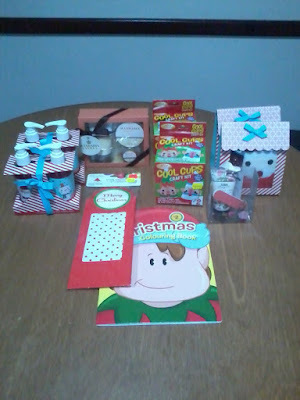 -Bought some colouring books and bath/hand cream sets which were marked down to half price after Christmas. Some of these will be used for gifts during the year. -Hubby and I enjoyed a New Years Eve tipple from drinks that were gifted to us at Christmas. -On NYE we used sparklers that I bought on clearance last year for 20c a packet and also enjoyed a box of chocolates left over from Christmas.